Several important changes issued by the Centers for Medicare and Medicaid Services (“CMS”) were reported this week and if you didn’t see them, here they are for your review. CMS announced this week that it is revoking proposed changes to its Medicare medical billing requirements for partial hospitalization charges that were originally introduced in March of last year. The new rule would have made three edits to the Integrated Outpatient Code Editor to enforce a new requirement for partial hospitalization reimbursement – namely – weekly billing. The edits would have “mandated providers to furnish a minimum of 20 hours per week of therapeutic services,” according to RevCycle Intelligence, and then submit weekly bills for outpatient providers. 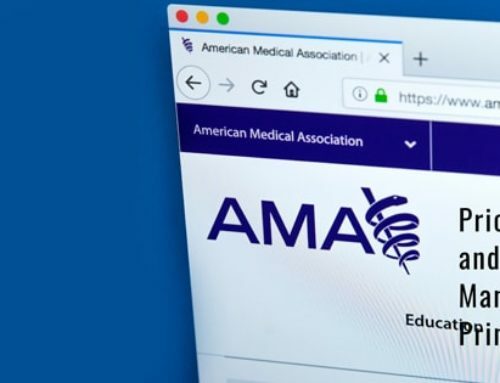 CMS changed its mind and didn’t implement the changes after stakeholders expressed concerns about the increased administrative burden the changes would impose on providers. Good for them – there’s ample reason for their concern. Clinicians and their staff spend an average of 3 to 5 hours a week on billing and insurance-related (BIR) activities. They spend up to 15 hours a week on quality measurement and reporting. The related cost effects of BIR time were found to be approximately 12% to 14% of revenue, or about $68,000 to $85,000 per year per full-time equivalent (FTE) physician. For every hour a physician spends with a patient, an additional 2 hours on is spent on EHR and other “desk” work. The ACP boiled their request down to one statement: “Stakeholders must work together to address the administrative burdens that fail to put patients first.” They requested that payers, governmental and other oversight organizations, vendors and suppliers assess each administrative requirement, regulation or program to determine whether it should be challenged, revised or eliminated. In other CMS news, the agency announced that it is directing Medicare Administrative Contractors to focus their medical review on “…select claims for items and services that pose the greatest financial risk to Medicare and those that have a high national error rate,” according to an article in Healthcare Finance. The new Targeted Probe and Educate pilot will eliminate providers who are submitting compliant claims. For those who are kept in the review system, they may be removed after three rounds if they have low error rates or show “sufficient improvement”. However, the stakes are higher for providers and Medicare suppliers with high error rates. If they show no improvement after three rounds of review they may be subject to 100 percent prepay review, extrapolation or referral to a recovery auditor. This is where the right technology saves the day. We believe that when practices implement one solution that handles insurance verification, pre-registration, preauthorization and patient pay estimates in one platform, they increase efficiency, spend more time with patients and increase their revenue. Technology that is developed with an innate understanding of physician practice operations can decrease scheduling time and increase reimbursements. Call it another win for reducing administrative burdens.